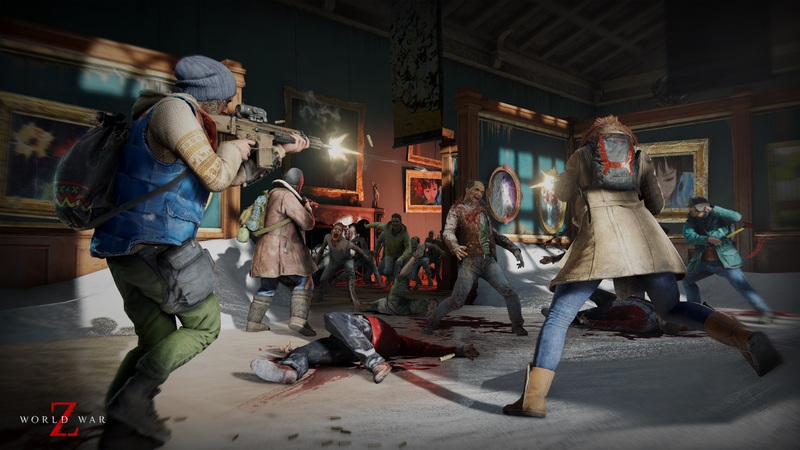 While Turtle Rock Studios hasn’t touched the much-beloved Left 4 Dead series in nearly a decade — though they are jumping back in with a newly announced IP, Back 4 Blood — a couple of developers have tried to pick up where they left off. Some of them have fizzled out or never saw the light of day, but one, in particular, is shaping up quite well. 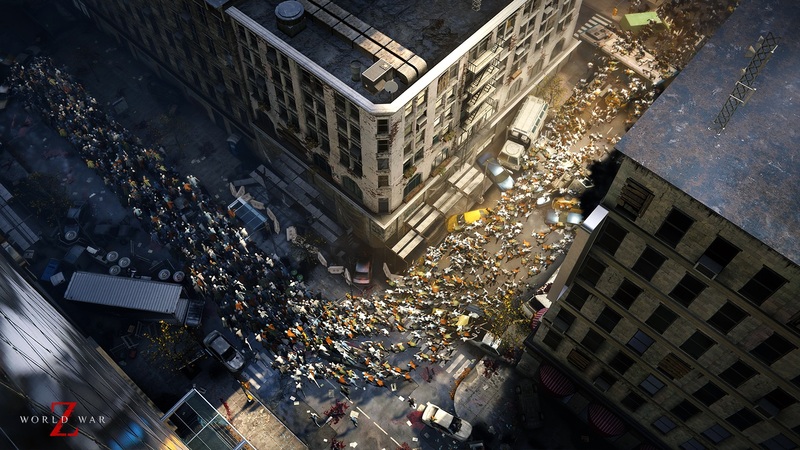 I’ll wholly admit, when I first heard about it, I wasn’t entirely sold on Saber Interactive’s World War Z. Perhaps it was the tie-in with the movie and book of the same name, but zombie games, in general, have left a rather sour taste in my mouth. Thankfully, World War Z is just the remedy I’ve been looking for. 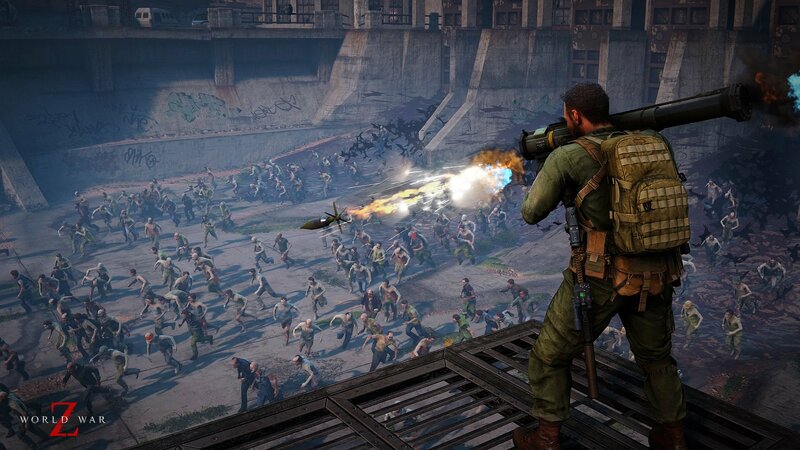 For better or worse (depending on who you ask), Saber Interactive’s take on the franchise doesn’t follow the events of the 2013 film. 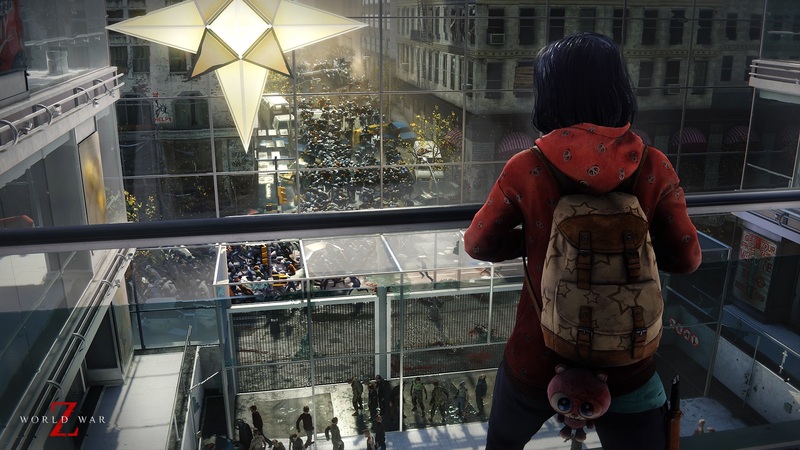 Instead, the game will be spread across multiple episodes, with each one following a different group of survivors in a brand new locale. Sure, you won’t get to fulfill your fantasy of controlling a virtual Brad Pitt, but this type of freeform narrative allows the development team to experiment with new environments and tell a handful of more bite-sized stories, as opposed to having to keep the player focused on one protracted narrative. 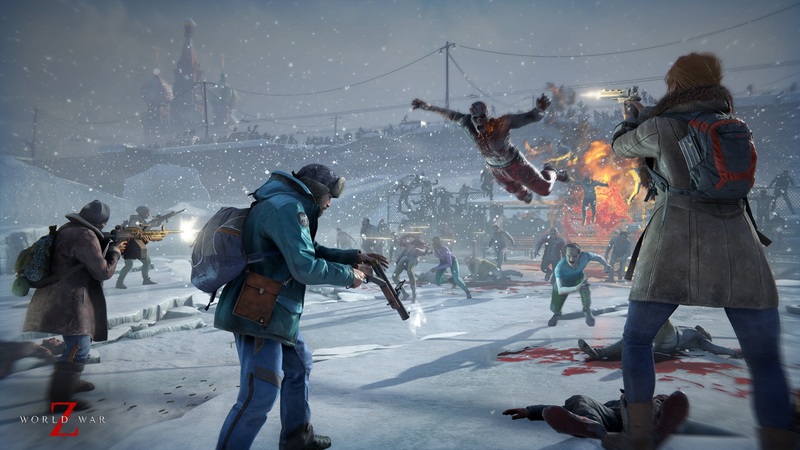 Of course, as good as any story might be, it all rests on two things: the gameplay, and the zombies. I had the opportunity to run through an entire level at GDC this year with a full squad of four. 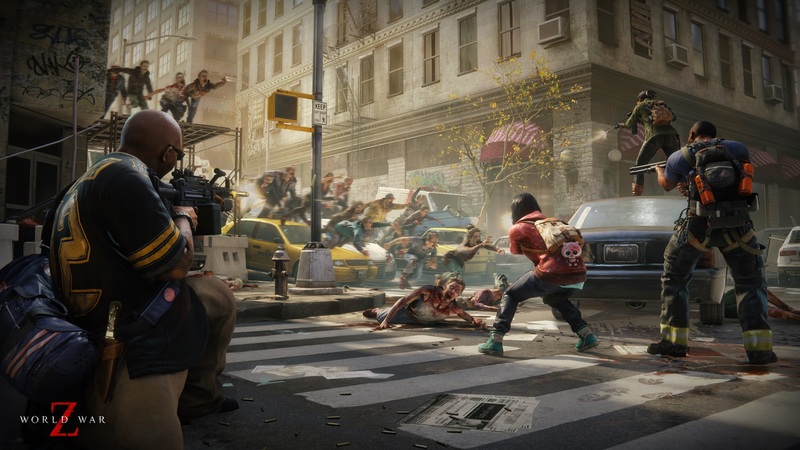 Sure, this might conjure up images of Left 4 Dead — there’s even an AI director that constantly adjusts difficulty, weapon and item placement, and zombie spawns — but World War Z handles itself a little differently. The shift to third-person might offend some purists, but the pulled back camera provides a more well-rounded view of your environment. Key items are a little easier to spot, and players will have a better sense if they are being attacked from behind. Thankfully, a rather deadly machete is always at your disposal, allowing you to make mincemeat out of nearby zombies without much trouble. The sheer number of zombies that can appear on the screen can be staggering. 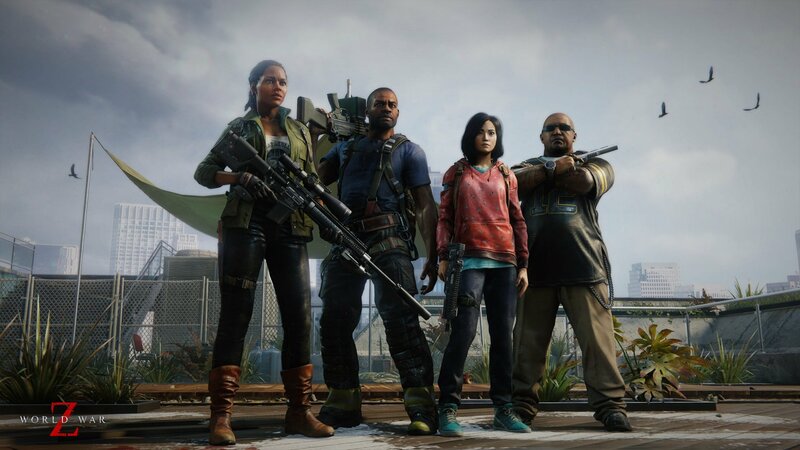 While I was lucky enough to be playing on the game’s second lowest difficulty setting (I appreciate the developers taking pity on me), it will take a well-coordinated squad to make their way through each level when the pre-set difficulty level is turned all the way up. There are plenty of weapon types (shotguns, rifles, machine guns) and items (molotovs, grenades) at your disposal, but at the end of the day, you’ll live or die by your ability to communicate well with your team. 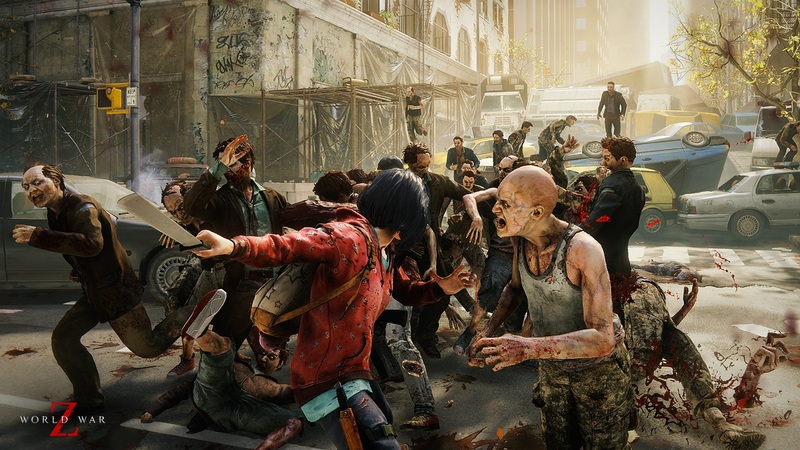 Of course, there’s the ability to play solo, but World War Z is best enjoyed with a group of friends, whether you’re playing through the game’s offline episodes or online competitive multiplayer which, for the record, does feature zombie hordes that will get in the way from time to time. The developers lovingly referred to this as PvPvZ. 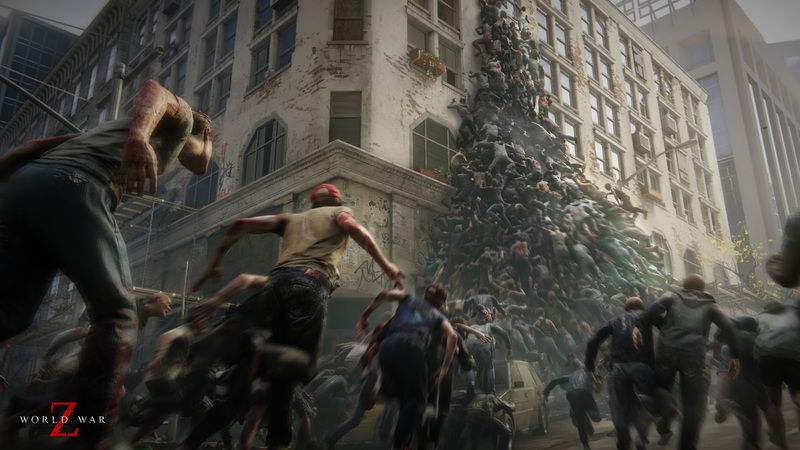 World War Z is set to release later this month on Windows PCs, PlayStation 4, and Xbox One, and our full review will be going live in the coming weeks. 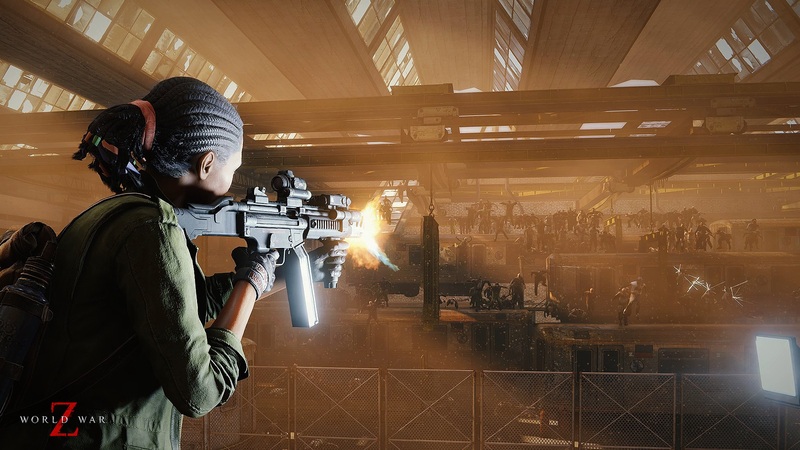 Be sure to check out the rest of our coverage from GDC 2019.